﻿ Regenta Resort Varca , Goa | FROM $23 - SAVE ON AGODA! "Our stay at Regenta was quite enjoyable & memorable." Have a question for Regenta Resort Varca ? "Staff was very welcoming & cooperative." "Regenta also provides spa facilities." "Pool facing room had the best view"
The Regenta Resort Varca is a great choice for the ultimate holiday. With a 4 star rating, this resort is great for experiencing a truly fantastic vacation. It offers garden, pool, and city views from its rooms, so you are bound to be peering out at lovely scenery. The most visited attractions are Varca Beach, Agonda Beach, Palolem Beach and Basilica of Bom Jesus. 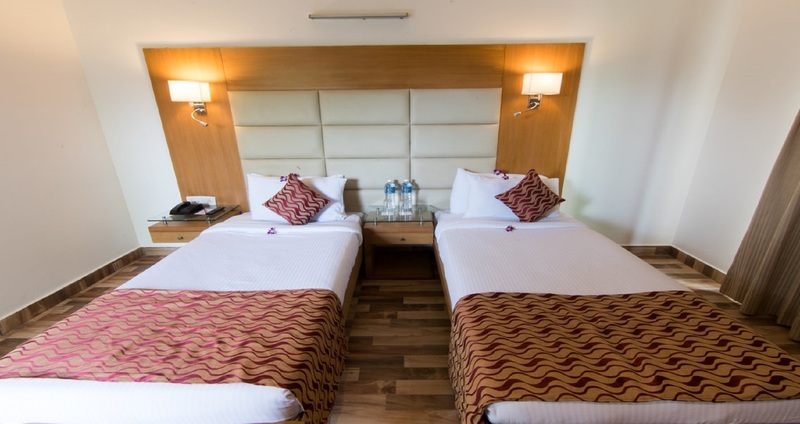 Equipped with family rooms, the Regenta Resort Varca has ample space for your whole family to lounge around together. 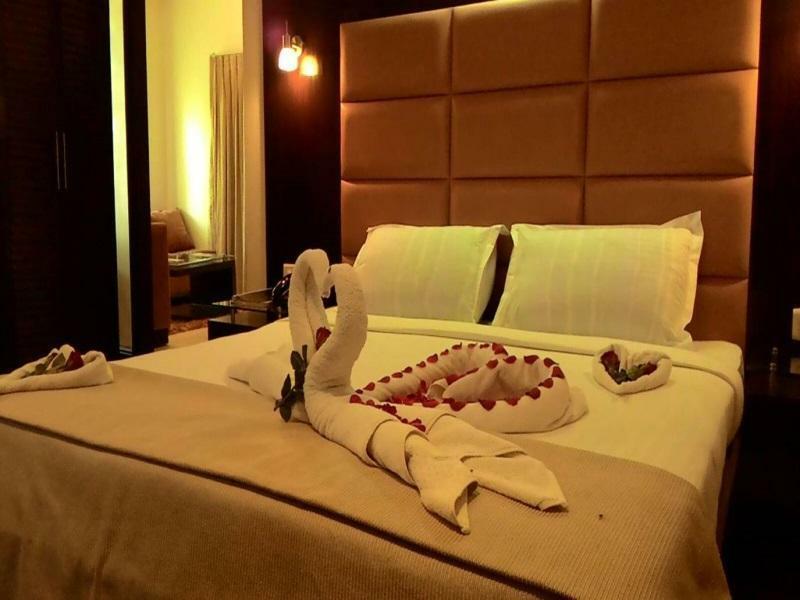 This resort provides a number of convenient services, which include a concierge, dry cleaning services, luggage storage, as well as daily housekeeping. The Regenta Resort Varca offers a bar, a coffee shop, room service, BBQ facilities, and restaurants on the property, so there is a selection of dining and snacking choices. This resort features a garden, an outdoor swimming pool, and a spa, among other fantastic facilities. It has various convenient features, such as an infirmary and safety deposit boxes. There's free Wi-Fi available in all rooms, as well as Wi-Fi in common areas, enabling you to stay connected to your friends and family. 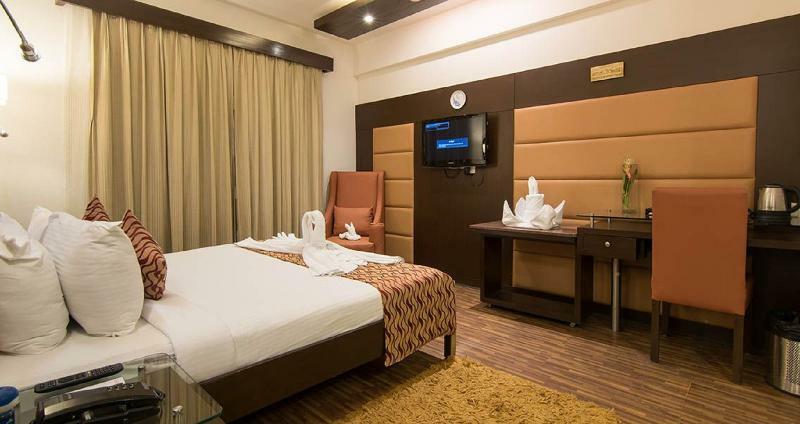 All of the rooms come with air conditioning, ironing facilities, a seating area, and a coffee or tea maker, as well as a shower, a desk, a mirror, a fan, and other amenities. The Regenta Resort Varca is pet-friendly, so you can spend time with your family and pets while away from home. Offering guided tours, this Goa resort is a great spot to stay to learn about the area. It has a variety of transportation options that include airport transfers, car rentals, and taxi services. Madgaon Junction Railway Station is 5.7 km away and Seraulim Railway Station is 6.5 km away. The nearest airports are Goa International Airport (GOI) and Mangalore-Bajpe Airport (IXE), which are 19.1 km and 271.2 km away. The Regenta Resort Varca offers check-in from 02:00 PM and check-out from 11:00 AM. This resort provides around-the-clock front desk services, ensuring that there is always a member of staff on call to help you whenever you may need. It provides an express check in and check out service, enabling you to avoid the frustration of waiting in slow-moving queues when readying yourself to catch a train or plane home. "Very close to the beach and a good taxi arrive next door." The location is good , but the staff is not supporting, i have booked for three days and stayed only 2 days i had added an extra bed for which i was charged for 3days and the manger told us that since we have used the dinner service he will charge me for the bed also, he could have charged for only dinner and not the bed as the bed alone costed me1000 rps, i ended up paying 1500 bucks extra just for a not do good dinner that to we hardly had. I will not recommend this hotel to any of my friends or relatives. It was a big big disappointment. Also they say wifi is free but there is no network for wifi in the room one is not able to connect wifi, i was also not served the welcome drink as it was mentioned in the booking details. They over charged me for the stay without full filling the things they have mentioned. Worst experience..
Good location - Varca beach is 10 mins walk. Food and staff ++ Amenities + Sweeping Pool - ok. Not really impressed. Overall value for money. The owners of this resort need to seriously look at maintenance issues, especially those of a hygiene nature. The mould on our pillows plus dirt was disgusting, the mattress was dirty and gosh knows how many years old. The towels were stained and old and the bathrooms were very sad and in need of renovating. The managers tried their best to address our issues and moved us to a room with a better and cleaner mattress and brought us new pillows. Their efforts were much appreciated as we were there for a week. The resort is in a lovely position being close to the beach and could be lovely if given a paint job, clean furniture and renovate rooms. I would recommend anyone staying there to check their mattress and pillows before retiring for the night. Our stay was bad from the beginning. When we checked in they said that Agoda has not sent the money to them and therefore we had to wait for an hour and a bit. Following that, I had to call Agoda and get them to send an email for instructions on payments to the reception. Rooms were average and beds were noisy. We asked to be moved to another room. Lady at the counter seemed confused and would take ages to do anything. Breakfast is really bad. We were a group of 5. Everyone hated it. Huge issue of taxis outside the property and so you cannot hire your on car or driver as the taxi union get violent and abusive. Which is why I have marked the located as awful. We ended up leaving a day earlier and moving to a better resort even though we had already paid for it. We stayed 5 NIGHTS in this hotel - 21st Dec via Agoda booking, 22nd to 24th via another block and the on 25th Dec via Agoda booking. Downsides: 1) Average Food Quality with high rates 2) Swimming Pool even doesn't have Kids gears to support the swimming 3) Poor Services on 25th Hotel suddenly informed that if you stay here on 25h then you will have to pay Rs. 4000 Per person otherwise you will have to check-out - this is was not on my itinerary at all and sounded like a blackmailing since i am there with Family. Very unruly behavior just focusing on to get the money from customers, I agreed however the the food quality was again bad and very average liquor they served for whom they charged 4000 Rs per PAX While i was with 2 kids 6 Yrs and 8 Yrs. I will never ever recommend anyone to go this hotel as they as highly unprofessional. Unfair Staff not very friendly, moment I said I will not opt for forced gala dinner, they asked me to check out, while I had paid in advance of INR 5k for pool view room , highly unfair Food quality was bad, first night itself it gave bad taste Morning breakfast was below average, they almost ran out of every item after just 20 mins from start, bad taste & no variety, 5 days repeated menu with same stuff!!!! Very bad experience for my family & they acted like goons just looking for money only, eve they asked that bathroom towel is damage , this was ridiculous as they it is damaged. I Will NEVER RECOMMEND THIS HOTEL TO ANYONE !!!!! Our stay at Regenta was quite enjoyable & memorable. It is a well designed & well maintained property.Pool facing room had the best view.Staff was very welcoming & cooperative. Varca beach is only at walking distance where we had so much fun while doing watersports. Regenta also provides spa facilities. 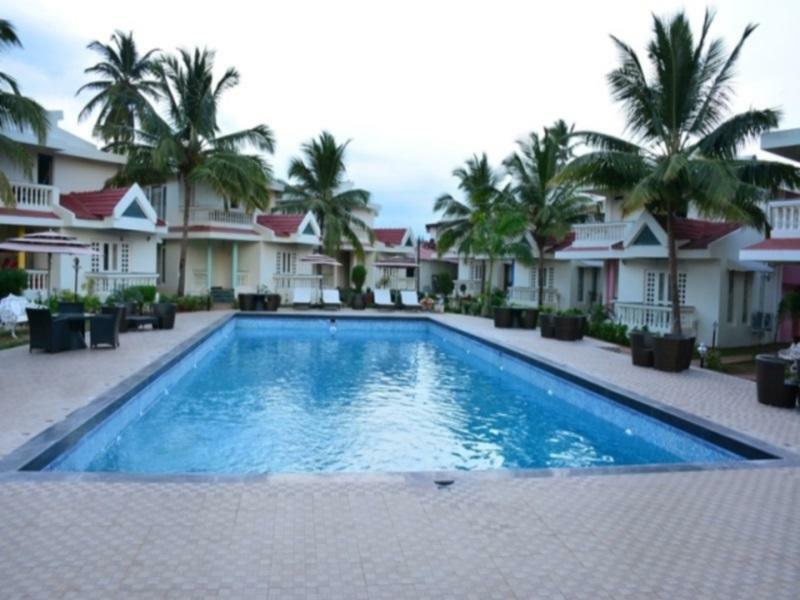 For a family who want to experience calm environment of south Goa Regent is a good option. lot of power outages seen during stay. intercom not working (everytime, we had to call on given mobile number for any service). No wifi (wifi is just for name sake, you cant even open google's homepage) and there is no proper network coverage in this location. so basically you remain isolated. Room size is very small. Not much variety in food (literally 1 page menu). This place somehow seemed like it used to be good somewhere in the past. However, that doesn't matter much, since our experience was (almost) awful. The hotel had really, REALLY slow service. They clearly struggled with almost every small task, and couldn't handle the rush at all (even though the peak season in Goa hadn't even started yet). The breakfast buffet was an absolute mess, and the attendants in the dining room were rude and arrogant to anyone who asked for anything promptly. The rooms were okay, but had a very old, crumbling look to them. The room wasn't even cleaned on a daily basis, and cups and saucers from the previous day weren't even taken back. The only good thing about the place was that the hotel manager acknowledged their poor service during our checkout, and told us that the management had undergone drastic changes in the recent past, and the property would be up for renovation soon (although the pool was already out of service due to ongoing repairs). Let's hope that this place gets back on its feet soon, since the current state is not very promising. During my stay, the swimming pool was dysfunctional. The staff was courteous however the restaurant food was pathetic. No pool, no proper internet signal, food terrible and just not a nice place to visit. Rooms were not clean, bad smell and hot water pressure in shower was very slow. WI-FI was poor. Food quality needs lot of improvement. Pool was under renovation during our stay (should be refunding portion of the room rent). Lots of mosquitoes in the room and insects outside room door. Poor service. WI-FI is poor. Food and breakfast is not at all of standard need lot of improvement. Nothing is good about the hotel and staff. Staff of the hotel are useless people. I had been with family of 8 people there and very bad experience of this property. If you ask for towel they will never give and if you ask for some coffee sachet they tell you it is out of stock.